Welcome to this issue of INSIDE ATLAS.ti. We have good news and interesting events for our community: As you all might know, we recently released version 8.2 for Mac and Windows with even more handy features. 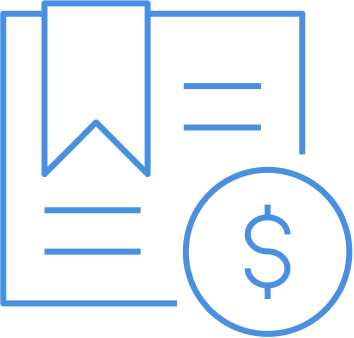 This is an important upgrade, absolutely for free for our current license holders. Also, ATLAS.ti is very proud to have awarded new software licenses to the RAFFLE winners at the 2018 Annual Meeting of the American Educational Research Association. Last but not least, our presence in the academic world has been very active during the last month as our trainers gave specialist seminars around Latin America and we are planning to host workshops in the 7th Ibero-american Conference! Don't miss the opportunity to connect with us! We hope to see you at one of our forthcoming events! ATLAS.ti 8.2. (Windows and Mac) now released! 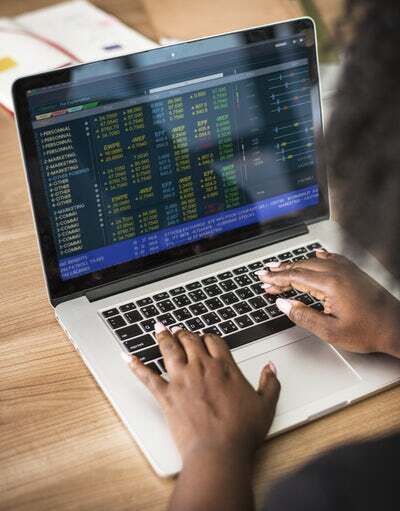 ATLAS.ti 8.2. introduces several new features, including a powerful on-board tool to measure intercoder agreement, automatic focus groups coding, import and export of codebooks in vendor-independent QDC/XML format (ATLAS.ti is the first product to implement this new exchange format! ), and many more great new features. Also of note: Yet another new interface language was implemented. ATLAS.ti 8 (Windows) is now also available in Chinese! Be sure to update as soon as possible by running the Live Update. ATLAS.ti 8.2 is a FREE UPGRADE for all ATLAS.ti 8 license holders. We would like to remind you that you can still register for the conference in June. This year's conference concentrates on gaining experience through hands-on learning in a number of workshops. 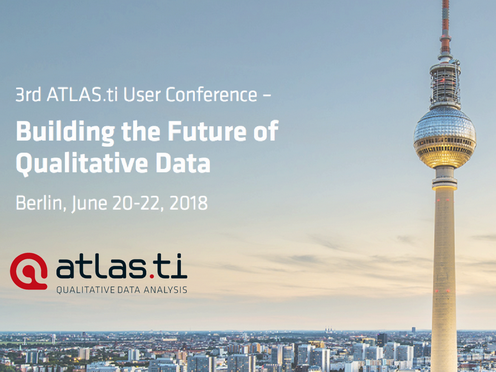 Two keynotes that address central issues in computer-assisted qualitative data analysis frame the conference. One case study roundtable and our famous Pecha Kucha paper session provide opportunities to present your research. And while we're exploring cool stuff-let us guide you through Europe's coolest city! Enjoy Berlin's best places, and be part of the world's biggest music festival day. 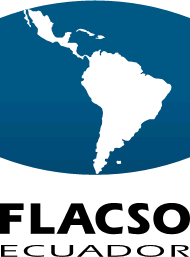 ATLAS.ti is now partnering with FLACSO Ecuador, which is part of the larger Latin American Faculty of Social Sciences. Between May 14th and 24th, FLACSO will be teaching a workshop on ATLAS.ti 8 Windows, coordinated by Mr. Jesús David Salas, one of our professional certified trainers. More information available here. Winners of the ATLAS.ti Raffle at the 2018 Annual Meeting of the American Educational Research Association announced! We would like to congratulate our three AERA raffle winners: Sonia Rosen from Arcadia University, Kelly Purtell from The Ohio State University and Alana Butler from Queen's University. They each won a single-user educational license. Dr. Rosen is currently an Assistant Professor in Arcadia University's School of Education and has a research focus on youth and teacher activism. Dr. Purtell is an Assistant Professor of Human Development and Family Science in the College of Education and Human Ecology at The Ohio State University. Her research focuses on understanding how contextual factors shape health and development among low-income children and adolescents, and on how policies and programs can enhance the developmental trajectories of these youth. Finally, Dr. Butler Assistant Professor in the Faculty of Education at Queen's University in Kingston, Ontario and her research focuses on 'at-risk' children and youth, equity and inclusion and multicultural education. 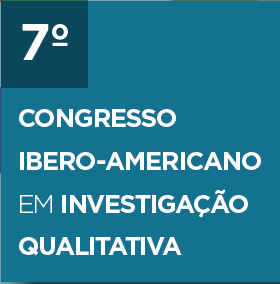 ATLAS.ti invites you to participate in the 7th Ibero-American Congress on Qualitative Research, which will take place from July 10 to 13, 2018. In addition to being one of the sponsors of the event, our staff in Latin America will teach a workshop of ATLAS.ti 8. More detail about this workshop can be found here, workshop option ATLAS.ti. For registration information for the conference and the workshop, go here . This paper is the second in a series that describes how a qualitative data analysis approach can be implemented using computerized qualitative data analysis software. Written by Susanne Friese, Jacks Soratto, Denise Pires. We interview Pritika C. Kumar, from HealthPartners Institute for Education Research, an organization based in Bloomington, Minnesota, United States. Pritika tells us about her work as a qualitative researcher at the Institute and the kinds of studies in which she will be using ATLAS.ti.